Since the diagnosis of my diabetes, I have been trying my best to follow my diet plan and eat as healthy as possible. I’ve been doing a pretty good job and I’ve been coming up with all types of creations! I’ve even been doing a better job while grocery shopping. I don’t go to the market when hungry and I only grab veggies, fruits and protein. It’s a great feeling to eat and be satisfied, not miserably stuffed. And it’s so fun to try new things. 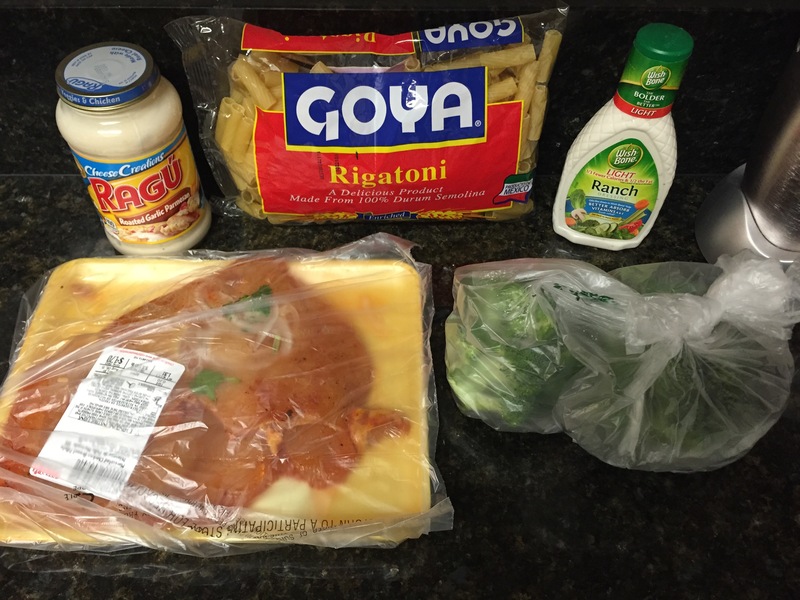 Last night, I made a chicken and broccoli pasta. Nothing fancy, but definitely a healthier spin on something I could have eaten that was fully loaded with carbs and starches! Creamy noodles! 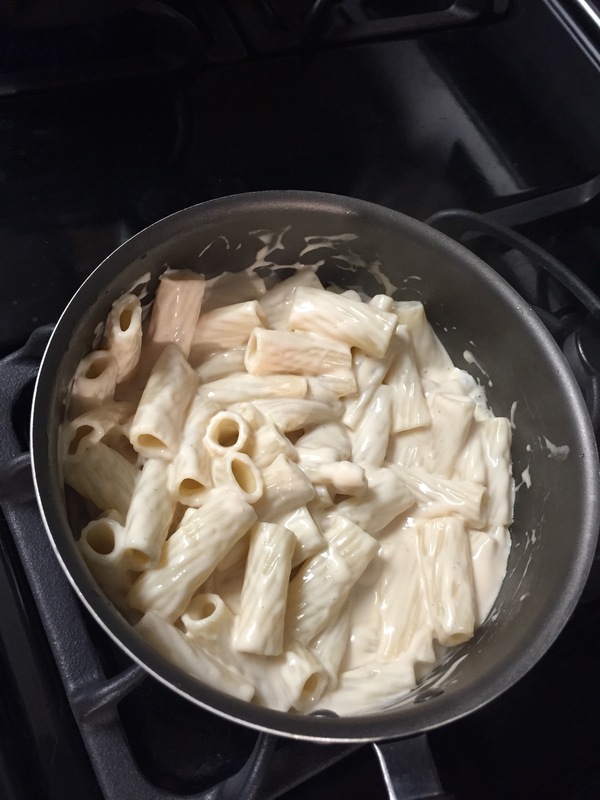 I love tubular noodles. Yum! 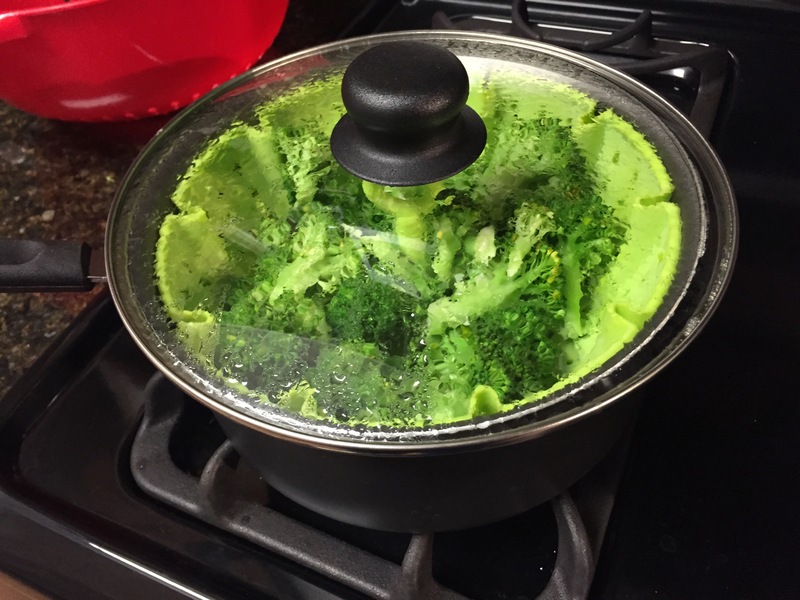 Steamed broccoli. The best way to eat your veggies, other than raw. I absolutely LOOOOOVE broccoli. It tastes best steamed for 10-15 minutes. Not the best presentation this time, I usually wrap it up a teeeny bit better than this. But, here we have pre-marinated chicken breast. It’s also garnished with green onions and regular onions. 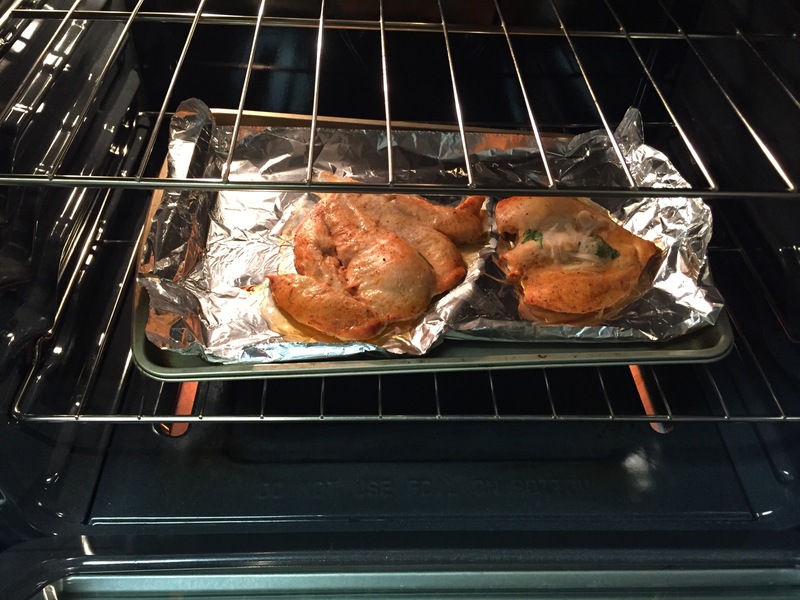 I cooked the chicken on 360 degrees for 25 minutes. Juicy was the result! Once everything was done, I cut up all the ingredients and sprinkled it with a little black pepper for flavor. 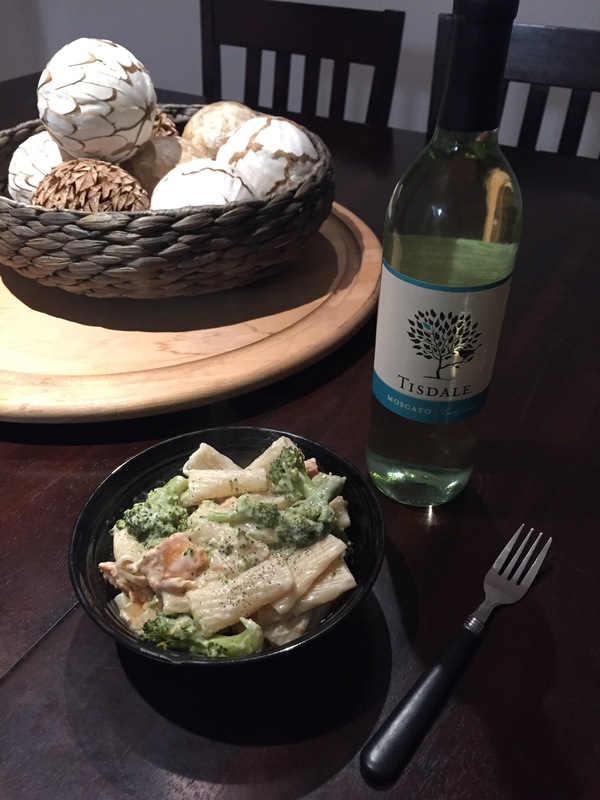 Paired with a glass of wine, this was quite a delicious meal, if I do say so myself! Kudos to me and a big pat on the back!